I’ve been blogging at MomToManyGirls for almost two years now. I’ve had so much fun meeting new people and reading other blogs. One way to find new blogs is to visit Blog Hops or Linky Parties or whatever someone calls them. Lots of bloggers get together and leave links to their blog or particular posts, in the case of thematic hops. I’m telling you, they’re seriously fun. 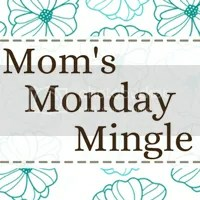 I’m excited to co-host my first blog hop with Mom’s Monday Mingle. I met Jessica with All She Cooks through a blog hop, and now here I am! So, are you ready to join in the fun of a blog hop? Meet new blogging friends and network with other bloggers. Follow the rules below to make sure everyone has a good time. Thanks for joining us! Thank you for co-hosting! I am glad to find your blog! Blessings!